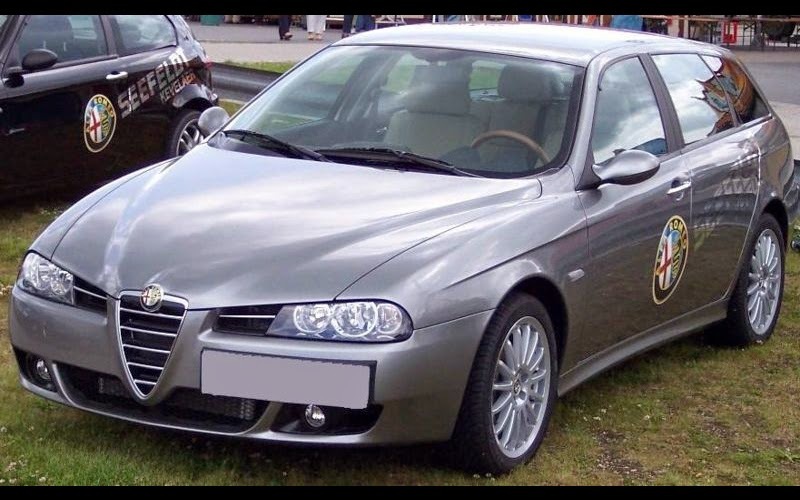 The Alfa Romeo 156 (Type 932) is a compact executive car produced by the Italian automaker Alfa Romeo from 1997 to 2007 (Q4 Crosswagon was produced to the end of 2007, the 156 saloon was discontinued late in 2005 in Europe). 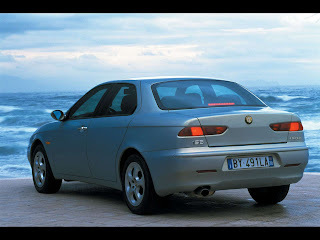 It was introduced at the 1997 Frankfurt Motor Show as the replacement for the Alfa Romeo 155. 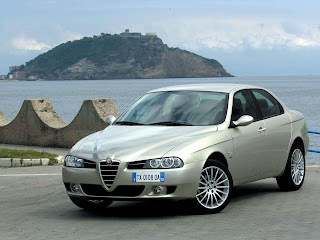 Cars were assembled at Fiat Group factory in Pomigliano d'Arco, Italy and General Motors facility in Rayong, Thailand (production in Thailand started March 2002 and lasted couple of years, cars were targeted for Asia Pacific markets). Between 1997 and 2005, 680,000 156s were produced, a huge success for the brand. 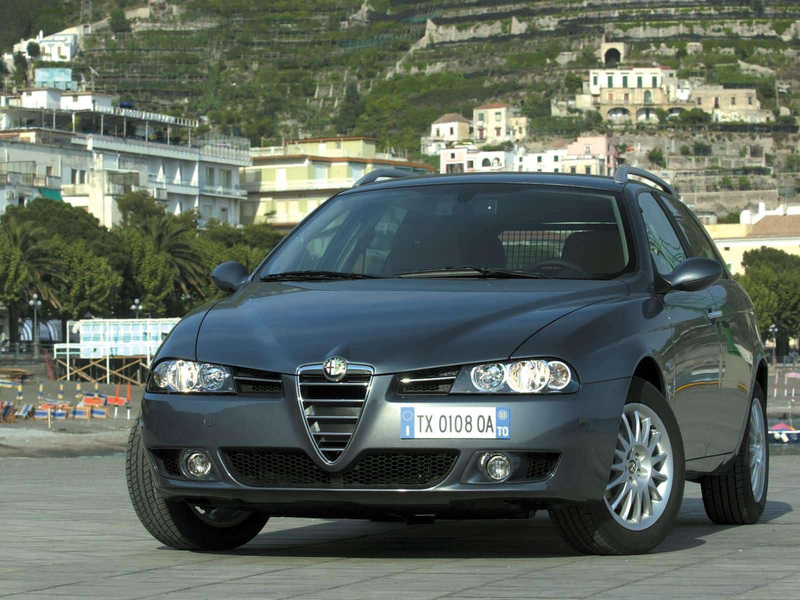 The 156 was available in both saloon and estate 'Sportwagon' bodystyles with seven engine configurations and it went through two facelifts, first in 2002 and second in 2003. The Sportwagon advertising campaign was made with actress Catherine Zeta-Jones. The 156 saloon was discontinued late in 2005 in Europe, the four-wheel drive Q4 Crosswagon was produced to the end of 2007. 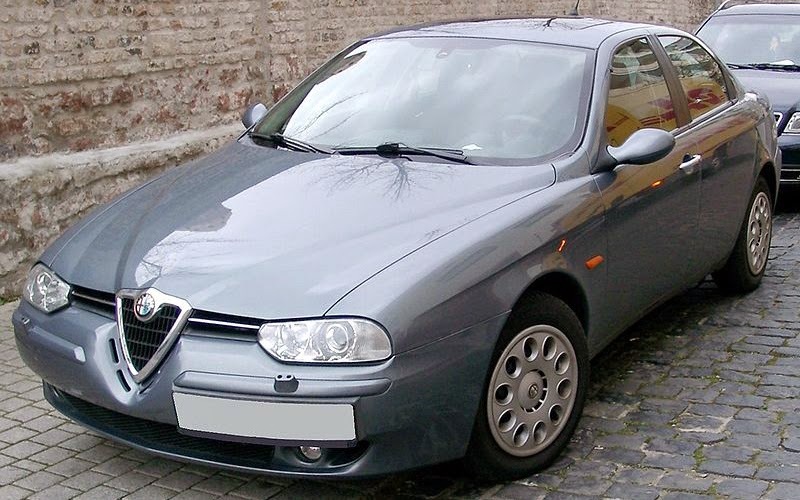 The 156 was replaced with 159, which also spawned the Brera, the two door coupe that replaces the Alfa Romeo GTV along with its convertible sister the new Spider. The 156 won the 1998 European Car of the Year award. 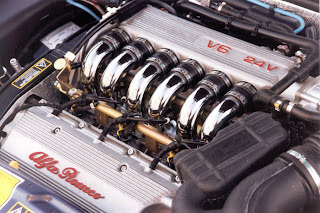 At the beginning the engine range encompassed four cylinder Twin Spark (1.6 L 120 PS (88 kW), 1.8 L 144 PS (106 kW) and 2.0 L 155 PS (114 kW)) 16 valve engines with variable valve timing, along with the straight-4 1.9 litre 8-valve 105 PS (77 kW) and straight-5 2.4 litre 10-valve 136 PS (100 kW) JTD common rail turbodiesel engines. Until January 2002, the range-topping engine was the venerable double overhead camshaft 2.5 litre 24-valve Alfa Romeo V6 engine rated at 190 PS (140 kW). Initially the 156 range was available with different options (packs) like a sport pack that could include either Blitz clothing, Momo leather interior or Recaro seats, it also included 16-inch (410 mm) wheels, lowered suspension and leather steering wheel and gear knob. There was also available Lusso pack with Momo's mahogany steering wheel and gear knob and for Nordic countries special winter pack consisting of fog lights, headlight washers and heated seats. Starting from 1999 five-speed Selespeed sequential transmission came as an option to 2.0 litre Twin Spark version and four-speed automatic Q-System to 2.5 litre V6 version, the Q-system can be used as normal automatic or shift manually with H-pattern, it has three automatic modes: city, sport and ice. A significant addition to the 156 range was the Sportwagon estate in 2000, a first attempt at an estate car of this size for the company. Sportwagon was also available with Boge-Nivomat self-levelling hydropneumatic rear suspension. The Sportwagon was marketed as lifestyle estate without large carrying capacity. 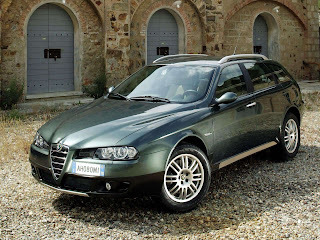 The Sportwagon bodystyle filled a gap in the market that Alfa Romeo had distanced themselves from since the 33 SportWagon of the 1980s. In 2001 engines were upgraded, engines complied with Euro3 norm and outputed 120 PS (88 kW) (1.6 L), 140 PS (100 kW) (1.8 L), 150 PS (110 kW) (2.0 L) and 192 PS (141 kW) (2.5 L). The 156 was designed by Alfa Centro Stile under control of head designer Walter de'Silva. Its distinctive style included high curved flanks, retro styled front door handles, hidden rear door handles, and a dramatic deep grille, which necessitated a highly unusual off-centre licence plate holder. The car was one of the first saloons to feature hidden rear door handles and prominent front door handles to give it a coupé look. 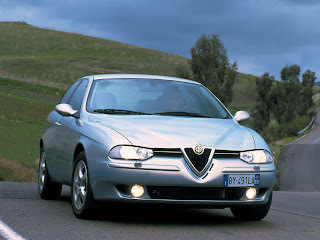 The design was influenced by three historical Alfa Romeo models: the 1900, the Giulietta and the Giulia. The 156 achieved a drag coefficient (Cd) of 0.31. 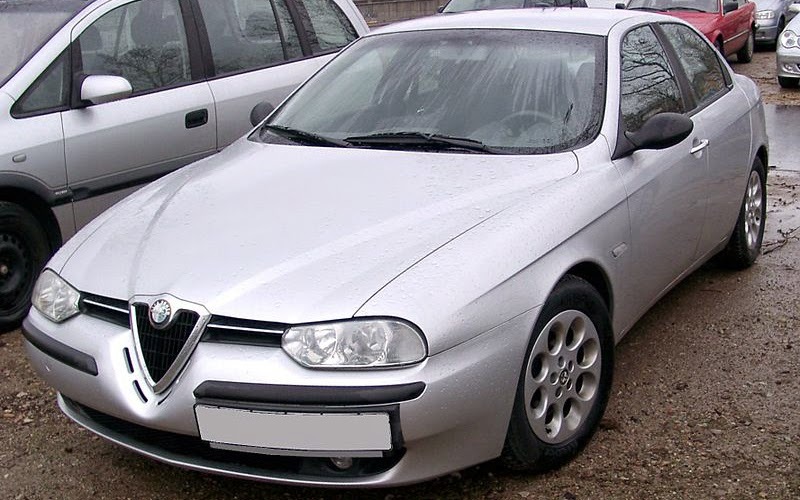 The 1998 original interior builds on a benchmark set by Alfa Romeo in their previously released Alfa Romeo 166, with a deeply scalloped upper dashboard and simple centre console. All of the main controls and displays are angled towards the driver in typical Italian sports car style, although this can sometimes be awkward for passengers who will struggle to see the interior clock. Despite being a family car, the interior design lacks cup holders, which normally come standard in saloons. Typically, for a smaller executive car, there is ample room up front for the driver and passenger to sit comfortably, with very comfortable seats. However, rear seat passengers may find the design restrictive in overall room. The 156 is a car for four people, rather than five, although later models did add a full centre seatbelt in place of the lap belt in earlier models. 2002 saw an update to both the interior and exterior of the 156. 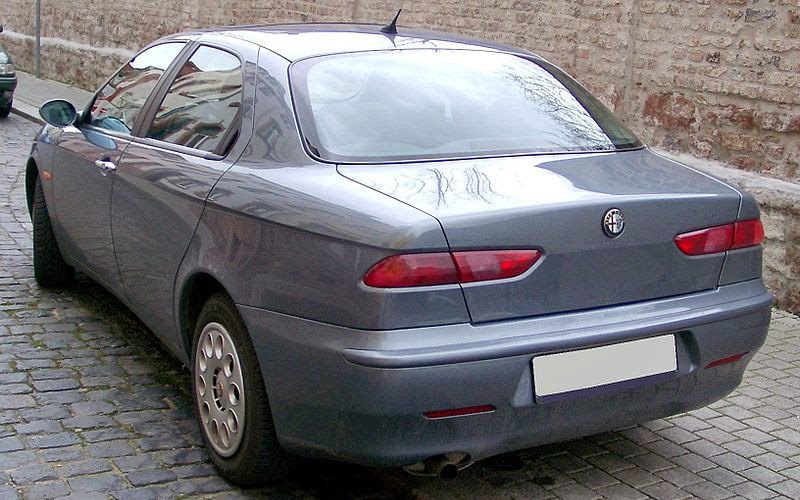 The 156 uses a platform derived from the Alfa Romeo 155, which in turn was derived from the Fiat Group's "Tipo" platform. However it is sufficiently different from the original "Tipo" one to be seen as a new platform. The 156 is a highly-developed front-wheel drive car; (the Cross/Sportwagon Q4 offered four-wheel drive in left-hand drive markets) with a double high wishbone front suspension and MacPherson strut system rear suspension, which consists of a telescopic vertical strut with coaxial spring and two transverse links of different lengths and a longitudinal strut. This structure means that the rear wheels have a tiny passive steering ability. Weight saving material (aluminium) has been used in several parts both front and rear suspension. The weight saving materials were also used in many other parts like magnesium framed front seats. 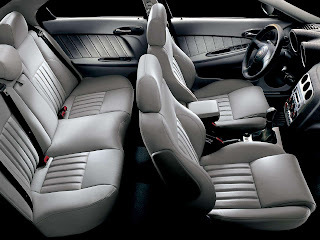 2002 also saw the arrival of a facelifted interior with different matte-finish surfacing and chrome highlights. New version used the 147's dual-zone digital climate control, the interior climate could also be controlled via air quality sensor. A different choice of colours were available for the interior, with the option of a two-tone interior very much like that BMW were introducing at the time. A wider range of options including xenon lighting, tele-informatics (CONNECT and CONNECT NAV) and a Bose stereo system were available, the stereo system could now also be operated via buttons on the steering wheel. 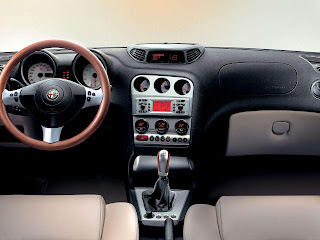 Also the Selespeed gearbox control system was updated, buttons at steering wheel were replaced by paddle shifters, like seen earlier on the Alfa Romeo 147. In the center console was added multifunctional display with trip computer, fault and service monitor. Also electronic stability control VDC (Vehicle Dynamic Control) with an emergency brake assist device and slip control ASR (Anti Slip Regulation) came as standard. Also a MSR (Motor Schleppmoment Regelung) was added to the car, this device prevents wheel skidding by restoring torque to the engine for example when the gear is shifted down abruptly under conditions of low grip. Passive safety was also made better, all versions got window airbags as standard. The 2.0 L JTS 165 PS (121 kW) gasoline direct injection engine replaced the 2.0 litre Twin Spark engine, offering more low end torque and more power than the Twin Spark, diesel engines were also uprated. Only notable difference exterior-wise was body coloured mirrors and bumper strips which were earlier black. 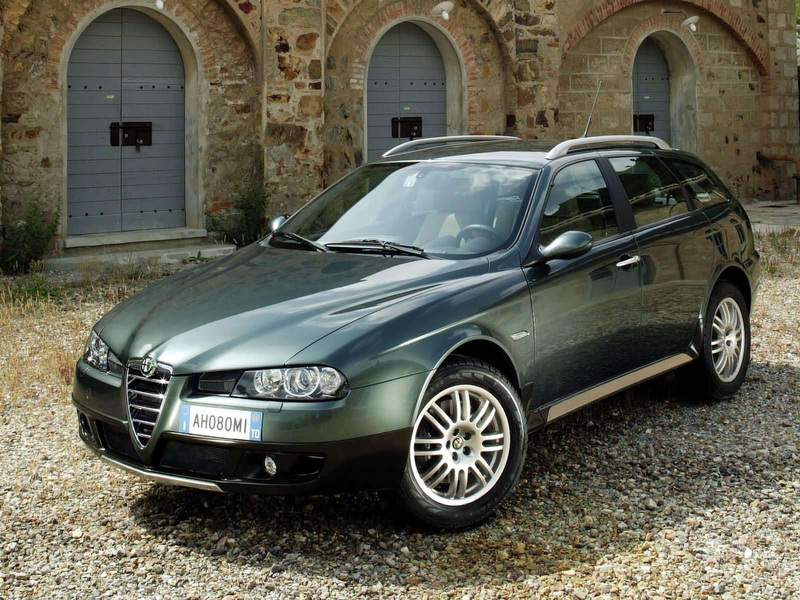 Late 2003 saw the launch of a facelifted 156, with new front and rear fascias designed by Giorgetto Giugiaro. To the top of range was added new TI trim level (Turismo Internazionale) designating a sporty kit, this version was equipped with modified suspension, bigger wheels (215/45 17") and leather-trimmed interior. This mid-life facelift divided opinion with some preferring the prettier pre-facelift look with others singing the praises of the newer more aggressive demeanour of the latter models. The GTA models never received the exterior update. Diesel engines underwent a major re-working, new four valve per cylinder heads were added, second stage common rail injection with 1400 bar maximum injection pressure with up to five injections per cycle for lower noise, consumption and higher performance. They were rated at 140/150 PS (103/110 kW) for straight-4 1.9 litre 16-valve and 175 PS (129 kW) for straight-5 2.4 litre 20-valve. In 2004, Q4 (short for Quadrifoglio 4) four-wheel drive versions arrived to some markets, which were known as the Crosswagon Q4 and Sportwagon Q4 (both using the 1.9 L 150 PS (110 kW) JTD diesel engine). These cars were equipped with a Torsen C four-wheel drive system and raised ride heights (Crosswagon height: 1,497 mm (58.9 in), Sportwagon 1,458 mm (57.4 in)). The Crosswagon version was made to look more like all-terrain vehicle; door sill aluminium protection, front and rear bumpers were equipped with aluminium inserts. The Sportwagon Q4 was a normal looking version with just slightly higher ground clearance than the front wheel drive Sportwagon. The Sportwagon Q4 was only available in LHD markets, with no RHD models being built or sold. 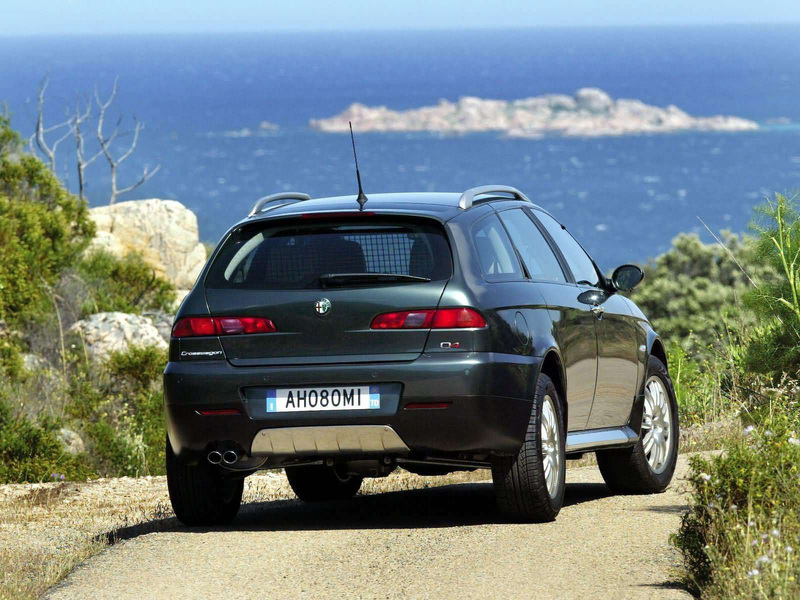 In September 2001, the 156 GTA and Sportwagon GTA were launched at the Frankfurt Motor Show. 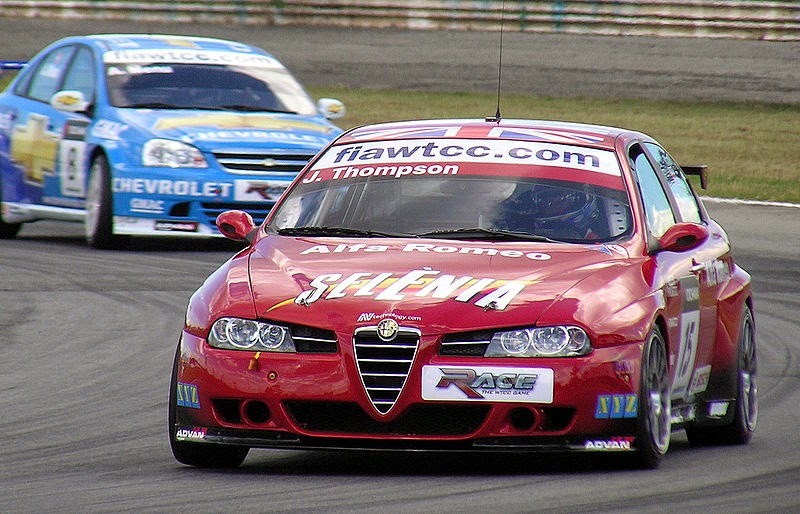 The GTA was named after the Alfa Romeo GTA from the 1960s, the letters GTA meaning Gran Turismo Alleggerita (English: lightened Grand Tourer). Even though the name suggests a light car, the GTA isn't any lighter than base 156. 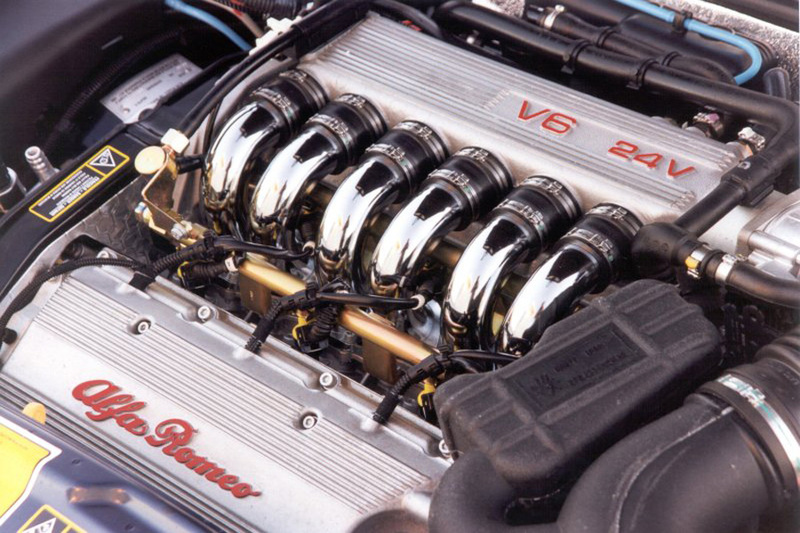 It was actually 91 kilograms (201 lb) heavier than 2.5 litre V6 engined version. 2,973 berlinas and 1,678 SWs were built. With its 3.2 litre engine its easy to get very varying fuel consumption figures, the EC urban fuel consumption is 15.6 miles per imperial gallon (18.1 L/100 km; 13.0 mpg-US) and combined 23.3 mpg-imp(12.1 L/100 km; 19.4 mpg-US), extra-urban consumption is 32.8 mpg-imp (8.6 L/100 km; 27.3 mpg-US). The very first GTA was sold on-line auction from September 13 to 23, the duration of the Frankfurt Motor Show. Winning bid was 48,691.26 euros, which was donated to "Telethon" charity fund. 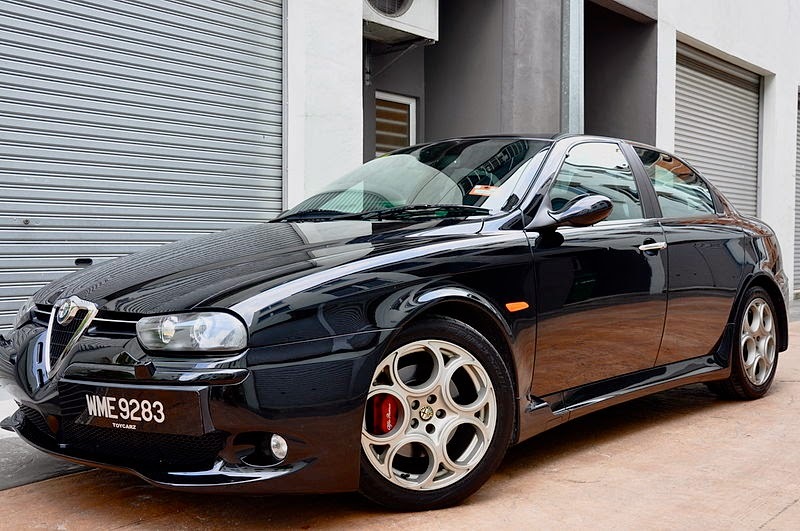 Equipped with a 3.2 litre V6 with six-speed manual transmission or six-speed Selespeed (paddles in steering wheel, hydraulically operated clutchless manual gearbox), the GTA variants were aimed at the performance market. The GTA variants boasted 250 PS (180 kW), had a lowered and stiffened suspension, a distinctive body kit and leather interior. The suspension was specifically made for the GTA by Fiat Research Centre and Fiat Auto Design and Development Department. Steering was also made faster, only 1.7 turns from lock to lock compared to 2.1 in normal models. The GTA had also much bigger brakes (Brembo), at front 305 millimetres (12 in) discs and rear 276 millimetres (10.8 in). The front discs were later updated to 330 millimetres (13 in). The GTA subsequently stopped production in October 2005 citing the upcoming replacement to the 156, the Alfa Romeo 159. The 156 offered various engines and power levels during its lifespan, four and six cylinder petrol engines and four and five cylinder diesel engines, all produced at Pratola Serra except the V6 engine, which was produced at Alfa Romeo's Arese plant. The 1.9 JTD diesel was world's first common rail diesel engine in a passenger car. Note: 2.0 TS, 2.0 JTS and GTA Selespeed versions have same performance statistics as manual transmission. Note (*): Crosswagon Q4 topspeed is 192 km/h (119 mph) and acceleration 0–100 km/h (62,5 mph) is 10.5 seconds, for Sportwagon Q4 numbers are 200 km/h (124 mph) and 10.2 seconds. 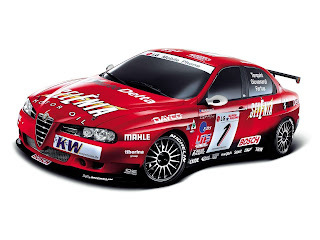 The Alfa Romeo 156 GTAm was shown at Bologna Motor Show in December 2002. The car was built by Fiat Group's partner N.Technology. 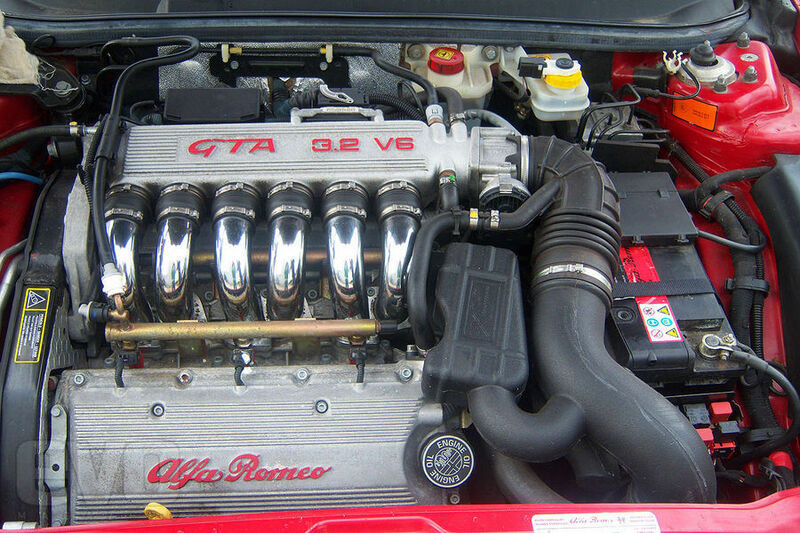 The GTA 3,179 cc (3.2 L; 194.0 cu in) engine was bored to 3,548 cc (3.5 L; 216.5 cu in) and power pushed to 300 PS (220 kW). The car had widened wheel arches, 19 inch tyres and was equipped with N.Technology limited slip differential. This car never reached production phase. At the 2004 Geneva Motor Show was unveiled Autodelta (Italian company) built 156 Sportwagon prototype equipped with a 3,548 cc (3.5 L; 216.5 cu in) V6 engine that develops 300 brake horsepower (220 kW) at 6800 rpm. 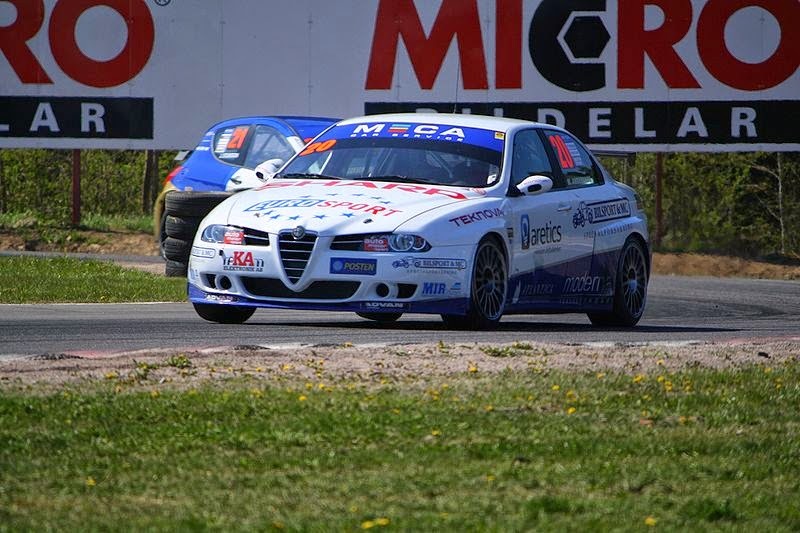 The car was fitted with Bilstein adjustable shock absorbers and Eibach springs. The Brembo made front brakes had a diameter of 330 millimetres (13 in). The car was made lighter by using composite material to the bonnet. 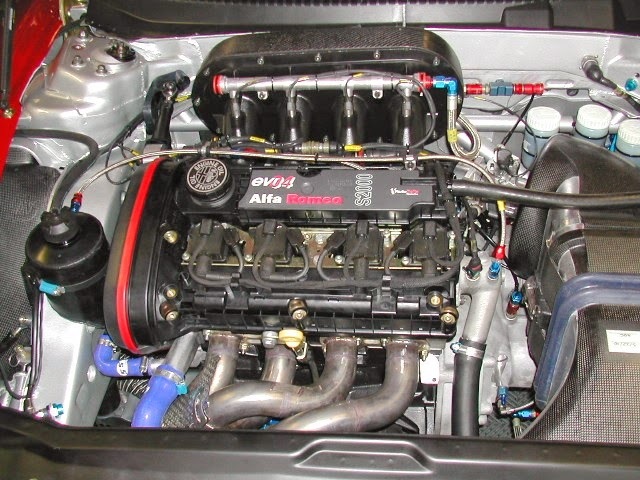 London (United Kingdom) based aftermarket tuning company Autodelta made also two high performance versions based on 156 GTA, in GTA AM version Alfa Romeo V6 engine was bored to 3,750 cc (3.8 L; 228.8 cu in), which was capable to push 328 PS (241 kW) at 7300 rpm. With this power car can reach top speed of 280 kilometres per hour (175 mph). The other one GTA AM Super was "upgrade" to the first version, now fitted with Rotrex supercharger and pushing out 400 PS (290 kW). 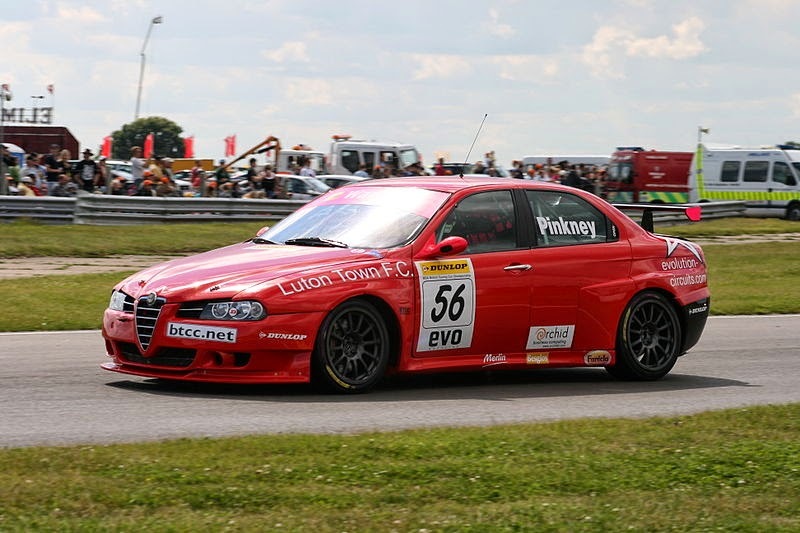 Italian race car constructor Coloni made a one-off racing car prototype for FIA Group-E Formula Libre called the Coloni S1 Alfa Romeo 156, or 156 Maxiturismo. 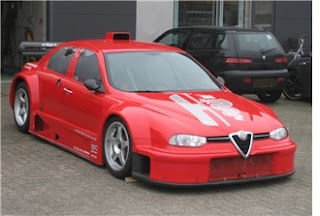 The car is a carbon fibre silhouette racing car on a tubular frame, powered by a 3.0 litre Alfa Romeo V6 engine producing between 380 bhp (280 kW) and 500 bhp (370 kW). The car has a 6-speed Hewland-Coloni sequential gearbox and weighs around 900 kilograms (2,000 lb). It is capable of achieving over 310 kilometres per hour (190 mph). Last updated on 18 April 2014 at 13:15.